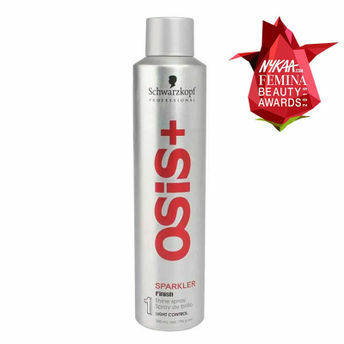 The Osis+ Sparkler Hair Styler from Schwarzkopf Professional enhances the look of your locks in an instant with a sparkling shine. This hair styler helps detangle your locks and gives then an instant light finish. This specially created Schwarzkopf Professional Osis+ Sparkler Hair Styler gives your hair a light and glossy finish in just a few seconds. Provides your style with conditioning properties and sparkling shine. Controls frizz and does not weigh down hair. Adds shine and bounce and makes hair smooth to touch. Additional Information : With a strong customer base in more than 125 countries globally, Schwarzkopf is a renowned hair care brand in the world that boasts of an extensive portfolio of high quality, innovative products for hair care, hair styling and hair coloring.